How to Grow Blueberries | Blueberry Plants for Sale Online. If you have a sunny position you can grow Blueberry plants in the garden or in a container. You can buy smaller plants online, just select the right variety for your climate. Blueberry plants are easy to grow given a slightly acidic humus rich well drained soil and plenty of sun. They do well when roots are mulched to provide a cool moist root run. The trick is to choose the right type. Different varieties of blueberry plants are suited to different climates. A sunny position in a humus rich well drained but moist soil is the best place to plant them. Consider being able to place bird netting over them so that you get the berries and not the birds. Blueberries are a fairly shallow rooted plant so they do require mulching, to prevent disease and allow good air circulation plant at around 1 – 1.5m apart. Pruning will be required after plants are established (2 – 3 years), prune back 1/3 of the oldest stems to a good new bud each year. Blueberries are amongst the most popular of berries, blueberries are prized as a super fruits nutrient rich and high in antioxidants. Different varieties include, Highbush, Rabbiteye and Lowbush. 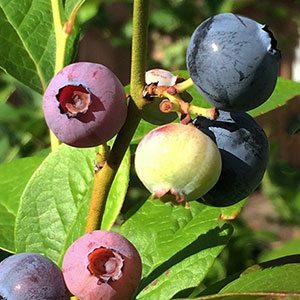 Coming in both evergreen and deciduous varieties, blueberries are suitable for growing in the home garden. Blueberry plants prefer a free draining soil with lots of well rotted compost or manure dug in. Mulch well to retain soil moisture and control weeds. Netting of blueberries will keep the crop for you rather than the birds. The perfect blueberry are the ones that ripen on the bush, they are sweeter and have more antioxidants. The white bloom on the berries helps protect then from rotting. Any soft berries should be discarded as they will cause the other berries they are stored with to deteriorate very quickly. 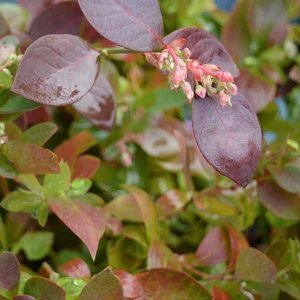 The best Blueberry plant for your garden will depend on your climate. Some require a colder winter than others to fruit. In Perth Blueberry plants are best grown in part shade. Look for the Southern Highbush types such as Brightwell, Premier, Powder Blue varieties as these require less chill hours, and in cooler areas also try Rabbiteye, types such as Tifblue, O’Neal, Sharpeblue and Misty. In Melbourne Blueberries can be grown in full sun. Self pollinating varieties include, Denise, Darrow, Elliot, Jenny, Northland, Sunshine Blue and Blue Rose. Those that require cross pollination include Brigitta, it is late cropping and well worth planting. In Sydney look for the Rabbiteye and Southern Highbush varieties.